I arrived home from travelling to a very empty boring looking room so over the past couple of months since being home I've tried to make my room more me and liven it up a little bit. I've still got a long way to go to get it to what I want it to look like but it's getting there so thought I would give you guys a sneak peek. My best friend kindly bought me the wall sticker for my birthday and I finally have it up on my wall, I love how it stands out against the pink and the quote is just lovely. I love that little corner in general, my wall sticker, with my little plaque and my photo frame with my favourite photos from China to remind me of my trip. I filled my Ikea storage cube with little ornaments that I've collected over the years including my Terracotta Warrior from China, my clapperboard, my make-shift money box and my lava lamp, in the bottom right corner is where I keep all my loose photos in a box and then any albums that I've made. I recently found these cute little door knobs from M&S and thought that they were a great way to add something cute and original to something as boring as a door. 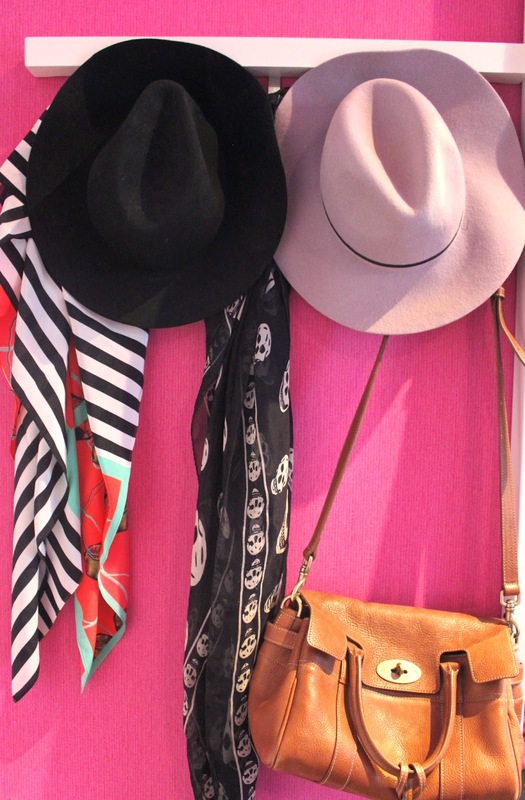 My favourite part of my room though would have to be my hat, scarf and bag feature, I just absolutely love it and it generally makes me happy every time I look at it, how sad! I hope you've enjoyed this post, let me know what you think in the comments!